By this time next year, Flint, Michigan’s, Capitol Theatre will once again host live performances. Opened in 1928, the historic theater was designed by John Eberson, and was once the largest theater in Flint. Under the design guidance of DLR Group|Westlake Reed Leskosky, renovations of the building will be completed by the end of 2017 or the beginning of 2018. The Whiting, another theater in Flint, and the not-for-profit Uptown Reinvestment Corporation are spearheading the project. 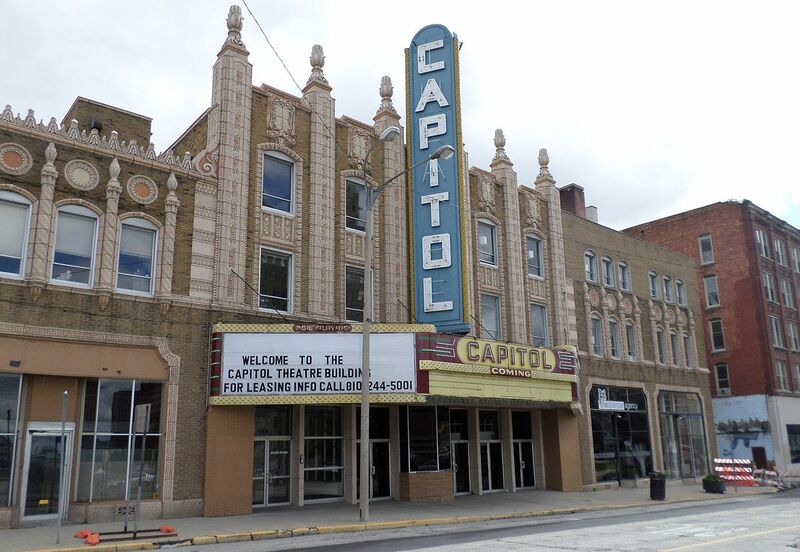 The Capitol Theatre was added to the National Registry of Historic Places in 1985, but it has laid vacant since 1996. Starting in 1970s the 1,600-seat theater played host to many popular acts, including Ray Charles, AC/DC, John Mellencamp, Green Day, and Black Sabbath. The experience of the theater was so designed to evoke the idea of sitting in an outdoor amphitheater. The restoration will bring back many of the theater’s original details while updating its technology. Restorations will be extensive, on the interior and exterior of the building. The original 1928 facade will be fully restored with its intricate terracotta ornament. The ceiling of the auditorium will be restored to its sky-like appearance, to include lighting special effects that mimic the transition of day and night. Decorative plasterwork and statuary throughout the building will also be brought back to its former glory. A new marquee and sign are already visible on the building, which started restorations in mid-2016. While the theater may be brought back to its original aesthetics, its new technology will be state-of-the-art. While the theater seats will be replicas of the originals, the sound, acoustics, lighting, backstage, and front-of-house will all be updated. Along with updating the performance space, 25,000 square feet of office and retail space will be reopened in the building. When completed, it is hoped that the theater will host about 100 events a year, attracting more than 60,000 guests annually.